Caption slip reads: "Photographer: McCarty. Date: 1953-12-18. Reporter: Ostler. Assignment: Santa visits St. Elizabeth's. 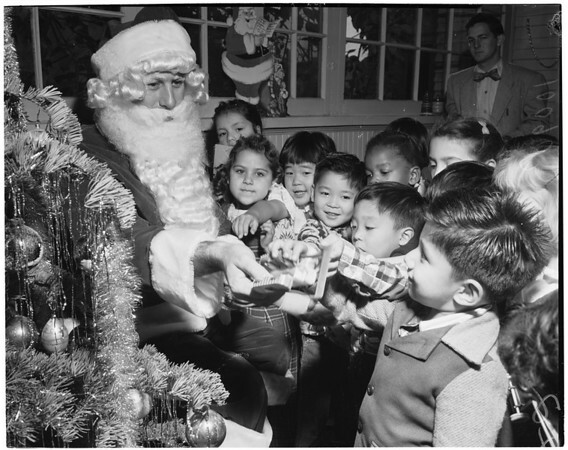 1920-21-22: Santa (a LAPD officer) visits the pre-school children at St. Elizabeth's Day Nursery."